I know I totally flaked out on you last week…so week 3 will be the last August menu and we’ll jump into September next week. Tonight’s bonus recipe is Veggie-Meatballs in Fire Roasted Tomato Basil Sauce – click here. This week takes advantage of the late-summer/early fall harvest. Patty pan squash, nectarines, plums, peppers and tomatoes. 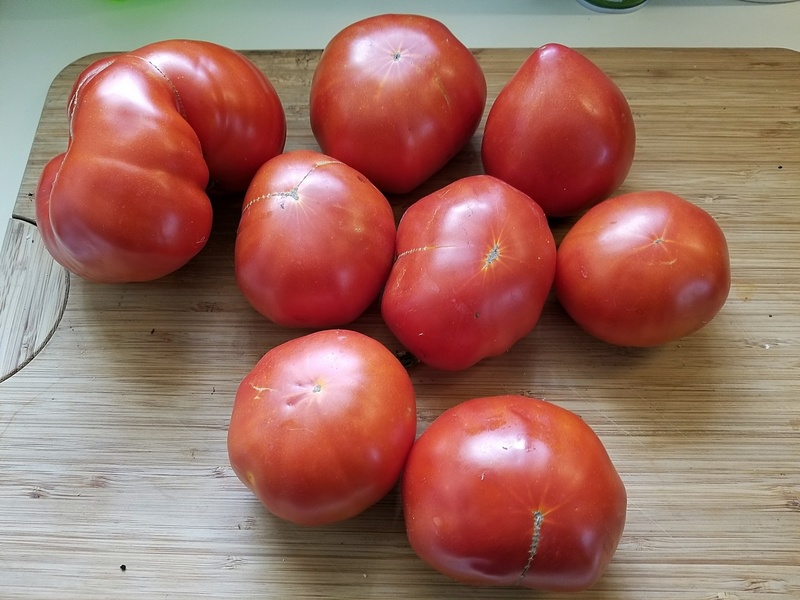 JeffreyW has some nice looking tomatoes, mine are still green on the vine. I’m prepared to survive any frost so they have time to ripen.